Kenttäkatu Kindergarten in Hyvinkää is the first kindergarten in Finland to receive the Nordic Ecolabel. 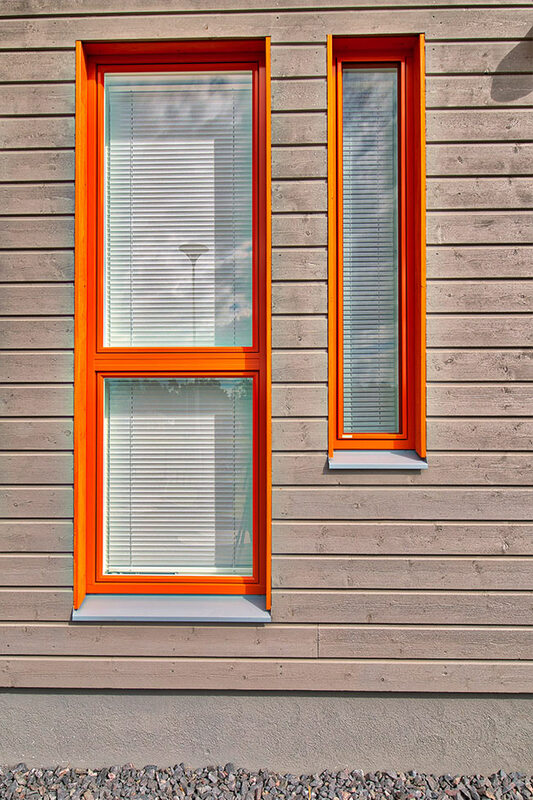 Tikkurila’s safe and environmentally friendly products have been used on the building façade and in interior surfaces. 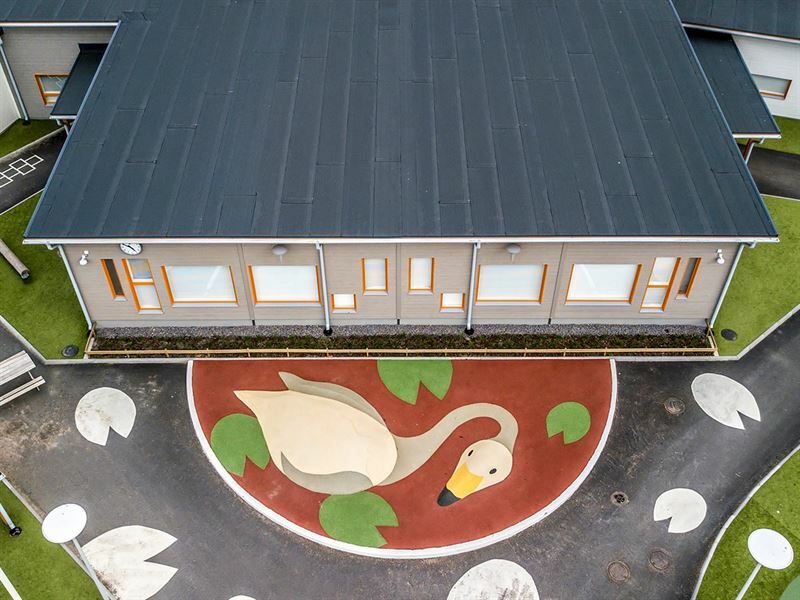 Kenttäkatu Kindergarten in Hyvinkää, which was opened in August 2017, is the first kindergarten to receive the Nordic Swan Ecolabel. The 2,062 square meter kindergarten designed for nine groups of children, is made of 29 prefabricated modules, and an air-raid shelter built on site. The building, which fulfils strict environmental and health requirements, won the Sustainable Procurement of the Year award at a conference held by the Procura+ network in autumn 2017 in Estonia. The award goes to innovative and successful public procurement that conforms to sustainable development values. The kindergarten was designed by architectural firm Arkkitehtitoimisto RCo Oy and built by Teijo-Talot Oy. The façade cladding of the modules was done with timber from Nerkoon Höyläämö Oy, treated with Tikkurila’s wood industry products. Pinja Priming Oil was used for priming, Ultra Pro as intermediate coat, and Ultra Pro Plus 30 as the exterior cladding paint. The interior surfaces were treated with, for example, Tikkurila’s Magnetic paint and Remontti-Ässä, of which the latter has several ecolabels, such as the Swan Ecolabel. Kenttäkatu Kindergarten set strict specifications already in the planning phase in terms of energy efficiency, indoor air quality and the building materials. “Our concept based on construction under factory conditions is well suited to Nordic Ecolabel targets, because we already have tools available for quality and humidity management. Our procurement processes are also more flexible than in on-site construction projects. 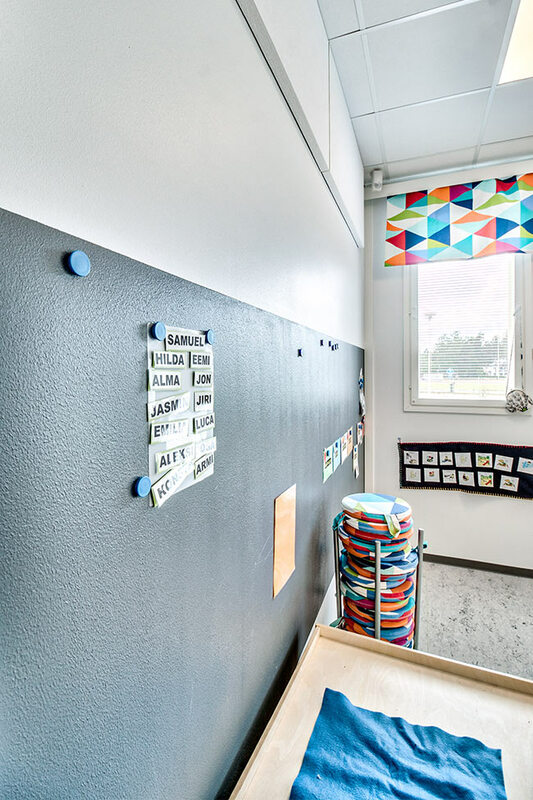 We did plenty of research to find materials that met the Nordic Ecolabel criteria and also suited the kindergarten,” says Project Manager Heidi Karlsson of Teijo-Talot Oy. 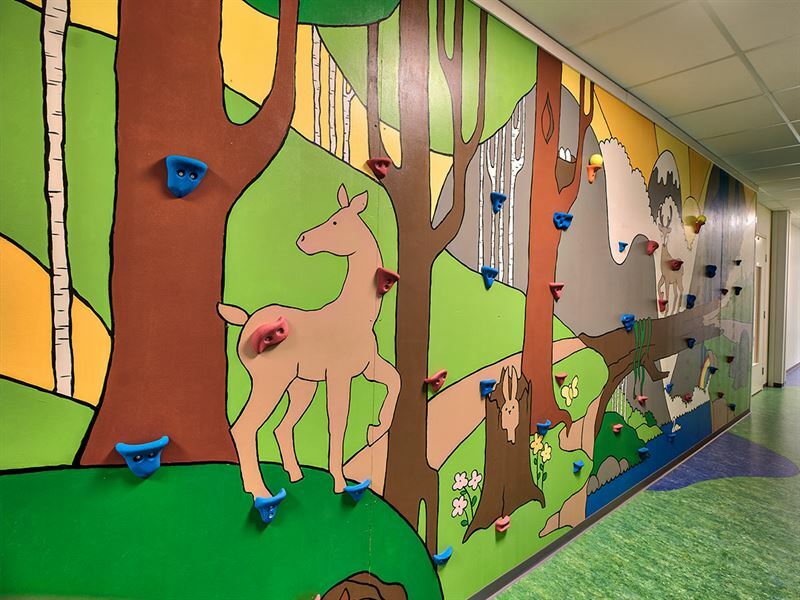 The kindergarten’s surface materials were chosen among M1 and Swan-marked products which give off the lowest levels of emissions into indoor air. Attention was also paid to working methods: whenever possible, the materials were worked outside the building envelope to prevent dust problems, and the ventilation system was sealed until after the final clean-up. The kindergarten’s indoor air is also divided into several sections, the ventilation of which is regulated with timers and carbon dioxide sensors. In addition to stringent environmental standards, paints bearing the Swan label fulfill precise quality standards covering the entire product life-cycle, from raw materials to the product's manufacture and use, and waste disposal. Not all building materials in a Swan-marked building have to be Swan-marked, but they must fulfill the requirements set for their product group. “Both ecological building using wood and any low-energy solutions are popular at the moment, and demand for Swan-marked buildings is certain to go up in the coming years. Tikkurila is an excellent position to offer its surface treatment expertise for targets bearing eco-labels,” says Jussi Kemppi, Sales Manager for Tikkurila’s wood industry products.